Patrick Marber and Peter Curran offer the pull-out mattress to a double Oscar winner. What would happen if the UK broke apart? One family face Britain's next civil war. 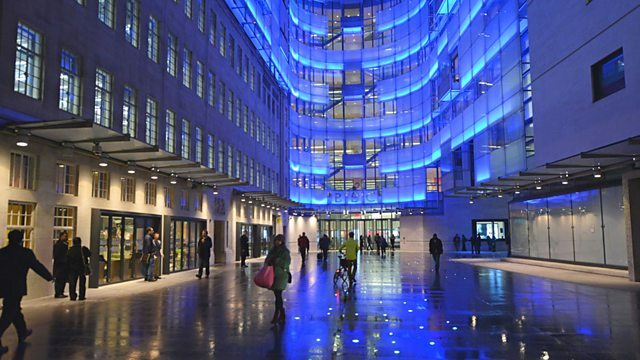 Find out what's on BBC Radio 4, day by day. An investigation into the disappearance of a young man from a locked room. The Listeners' Choice Award is now open. Fortunately... with Fi and Jane - 89. Our Audience Overheats: some favourite Fortunately moments. Beyond Today - Should you get sacked for posting what you believe? Topical, award-winning thriller by Kamila Shamsie, read by Lisa Zahra. A young student is forced to entertain a most unwelcome visitor. Matthews and Armitage interrogate a woman who has reported her elderly father missing. Seriously… - Can Hip Hop Save Ballet? Seriously… - Where are all the black women in Grime? Eight tracks, a book and a luxury: what would you take to a desert island?